NEW YORK (WABC) -- Police have arrested the alleged armed robber who has been targeting elderly women in Brooklyn and Queens. Authorities say 66-year-old Clarence Jones, who has an extensive criminal history with dozens of arrests, is responsible for at least five assaults and robberies over the past several months. He was arrested Monday morning after detectives received a Crime Stoppers tip. An 84-year-old woman was beaten in her Brooklyn home last month in one of the incidents, and Erin Van Schendel said she barely remembers what happened because the more than 200-pound man hit her so hard that he broke her nose. The suspect preys on vulnerable victims like elderly women, prompting police to issue a warning to residents in several neighborhoods. Jones served 14 years in state prison for a series of robberies in the 1990s, and for an attempted escape. He was denied parole by the state parole board in March 2014 but was released two months later after serving 2/3 of his maximum term, a conditional release by statute. 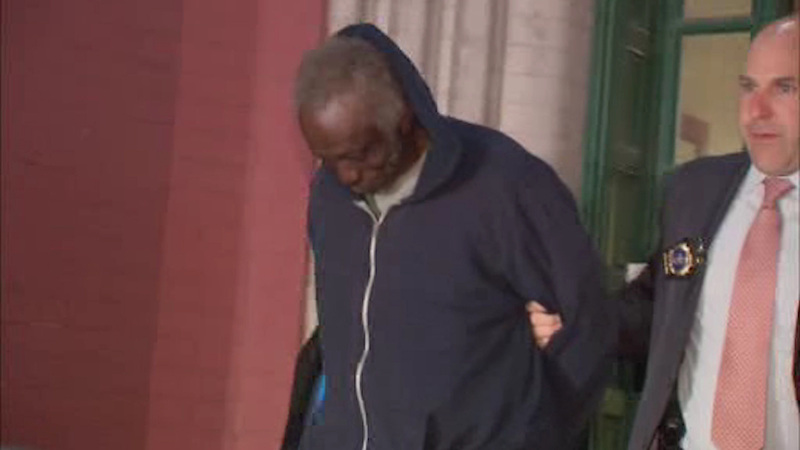 In September 2014, Jones is suspected of assaulting an 87-year-old person in the Bronx. He was labeled a parole absconder and has been a wanted man ever since. Earlier in the month, police say Jones attacked a 91-year-old woman in Park Slope, approaching her with a gun and a box cutter. In February, he allegedly pistol-whipped a 71-year-old woman also in Park Slope. In January, at a home near Myrtle Avenue and Weirfield Street, police said the suspect followed a 76-year-old woman into her residence, put his hands over her mouth and pushed her inside. He then demanded money at knife point, pointed a firearm at an 87-year-old man who unexpectedly walked into the building and demanded cash from his as well. The suspect fled with approximately $800. On March 19, near Prospect Place and Carlton Avenue, a 43-year-old was followed into his residence, where the suspect demanded money, police said. He then threatened a 81-year-old woman inside with a gun and a box cutter before fleeing on foot with about $330.